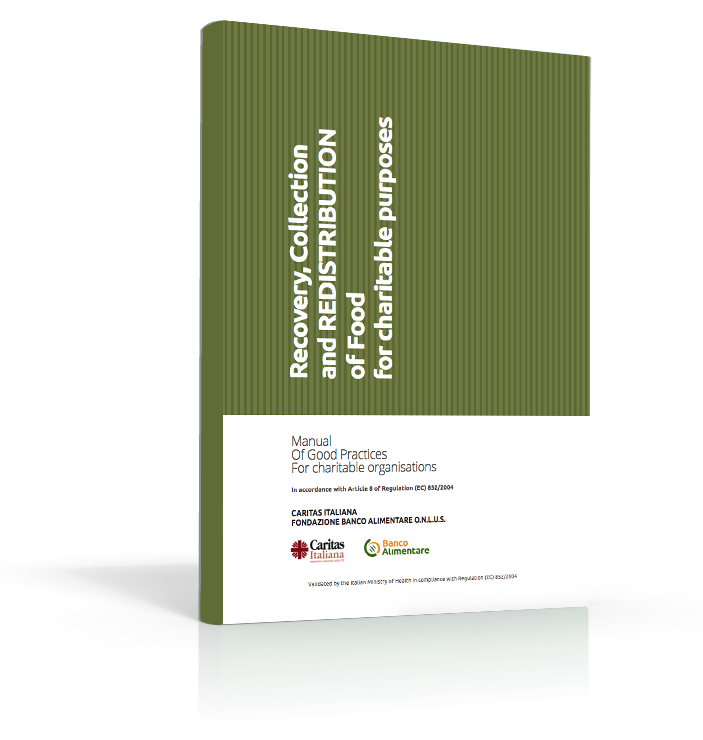 In recent years the Italian charitable food system has proved to be efficient and effective in meeting urgent needs given the available resources, although its organization could certainly be improved. This system consists of tens of thousands of Charitable Organisations (Cos) spread throughout Italy, which act for charitable purposes where food demand cannot be met by families or informal networks. In this way, they cover the sectors which the market and public services cannot reach. 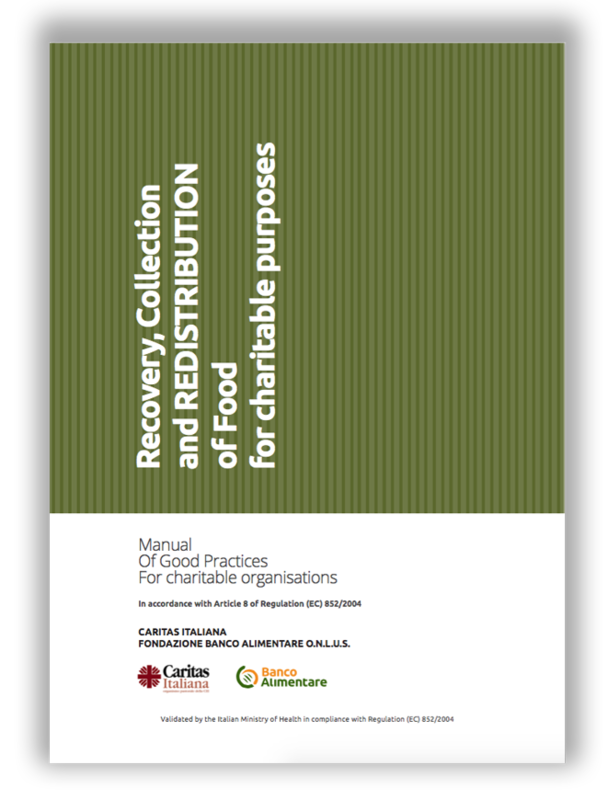 The aim of this manual is to propose correct hygiene practices to help non-profit Charitable Organisations (Cos) in recovering, collecting, storing and distributing food for charitable purposes in assistance of people in need, while assuring food safety. Correct hygiene practices help maximize the recovery and collection of surplus food from the entire afro-food supply chain, consisting of surplus production, incorrectly labelled products which are unfit for sale but safe for human consumption, food close to its "use-by-date", food leftovers and surplus from catering and canteen services.